At the beginning of February, the government of British Columbia announced some major changes to the Clean Energy Vehicle Program that could see some environmentally conscious drivers walking away with $12,000 in incentives. If you’re in the market to purchase a vehicle in British Columbia, consider buying yourself a zero-emission vehicle. 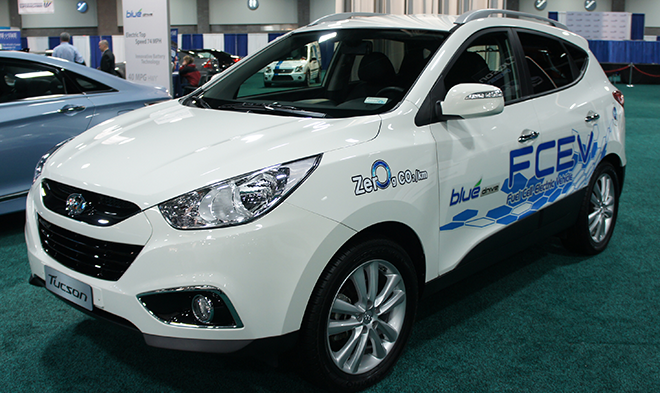 More specifically, try to find yourself a hydrogen fuel-cell vehicle that you love. Purchasing one of these new is going to put a $6000 check from the government in your pocket. You’ll still get incentives for buying a new battery electric vehicle or a plug-in hybrid, but not quite as much. For these, you’ll get $5000 and $2500 respectively. If you’re going used, you’re still going to get some cash, as well. A used zero-emission vehicle will put an extra $3k in your bank. It’s when you combine this incentive with British Columbia’s BC Scrap-It program that you double your money. The Scrap-It Program aims to get higher emission vehicles off the road by incentivizing the act of scrapping your old beater. If you get rid of your higher emission vehicle and then purchase a zero-emission car, you’re eligible for up to another $6000. Zero-emission vehicles can cost as low as $30,000, so with your incentives, the price is nearly cut in half. That, combined with your inevitable savings in gas, and your car will practically pay for itself. So, if you take your crappy old clunker to the Scrap It Yard, and then buy yourself a hydrogen fuel-cell vehicle, you’re getting $12,000 back! This is a huge incentive to save money on gas and be kinder to our planet all at the same time. You can read more about the Government of British Columbia’s incentives to drive zero-emission vehicles here: Clean Energy Vehicle Program. Which zero-emission vehicles would you consider buying? Let us know in the comments!